Food & Wine / Outdoor Events in or near Somerset West, Cape Helderberg in Cape Town, South Africa. 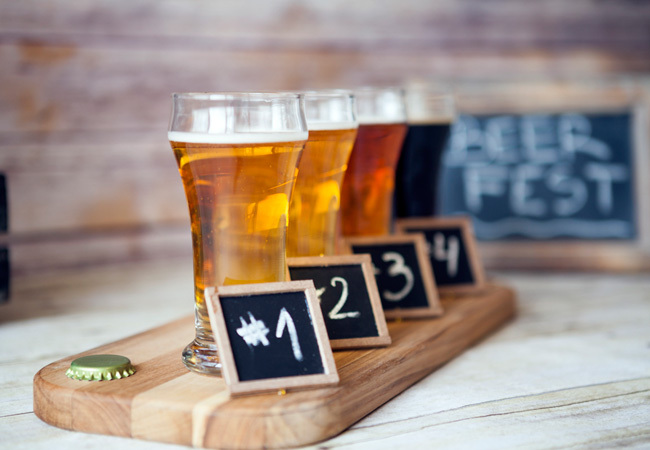 On Saturday, 17 February 2018, the second Helderberg Craft Beer Fest will be held for beer-lovers and those visiting the Western Cape. This event will be hosted by Southey’s Vines in Somerset West. The festival, which was a huge success in 2017, is set to become an annual celebration of top-notch locally-brewed beers and ciders. There will also be one winery, Warwick Wine Estate, attending for those that love the fruit of the vine. Visitors can peruse the various stalls, taste the wonderful flavours coming out of the region, and buy their favourites to take home. To create an even better vibe, live music will be on offer, showcasing some excellent South African performers. Look out for Ebeneze Ginsberg, David Mason, Mark Haze, Lee Berg, and Sam and Calla. Children will enjoy the kids’ entertainment programme on offer. There will be a number of food vendors at the Helderberg Craft Beer Fest, making sure that nobody goes hungry while they enjoy the fabulous beer and entertainment. Tickets cost R80 online, R100 at the gate, and entrance is free to children under 13 years. All of the money raised will be donated to charities. This event will start at 11h00 and finish at 19h30. VENUE: Southey's Vines, 186 Main Road, Somerset West, Cape Helderberg.